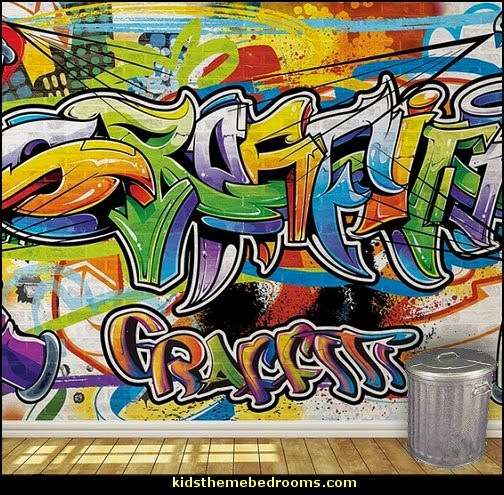 NO frills here! 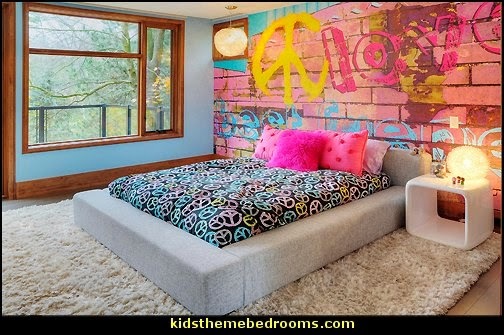 and NO spray paint required! 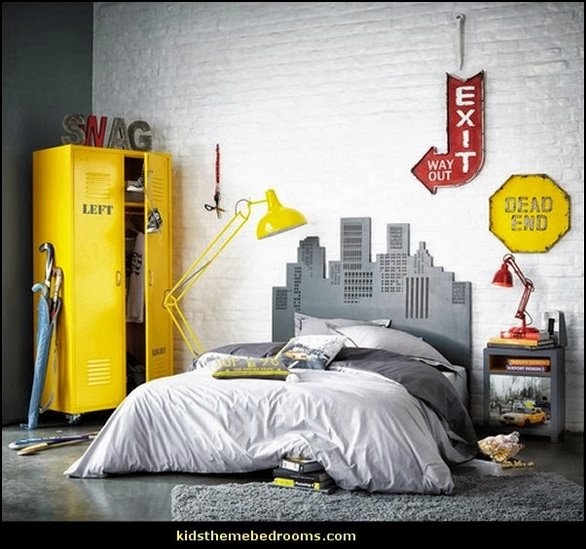 Bedrooms, lofts, rec rooms with exposed piping and high ceilings will give you that inner city vibe. 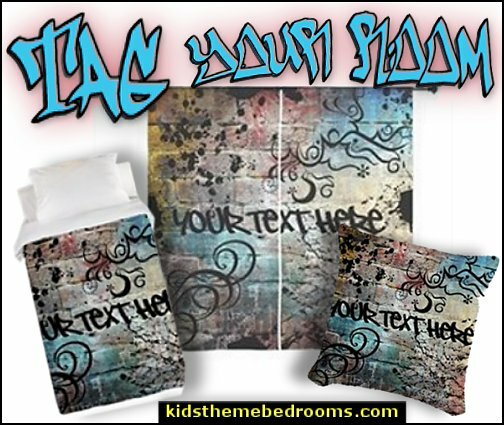 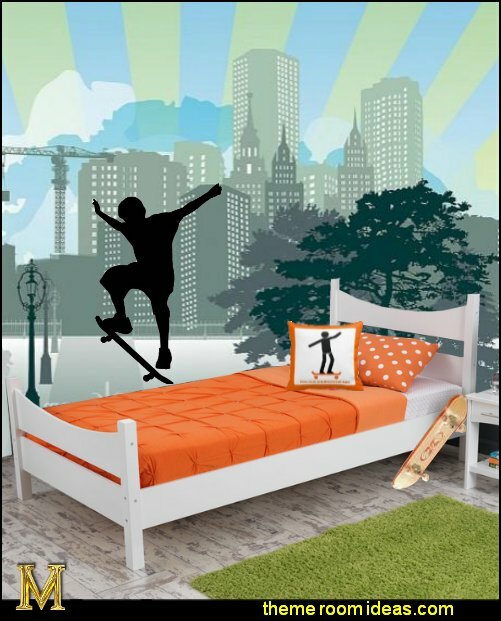 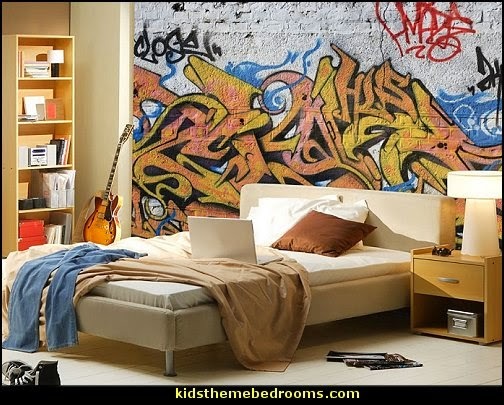 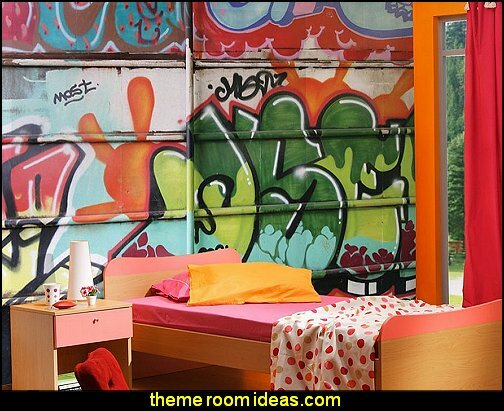 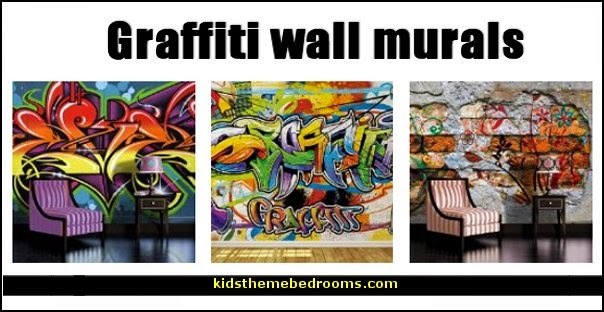 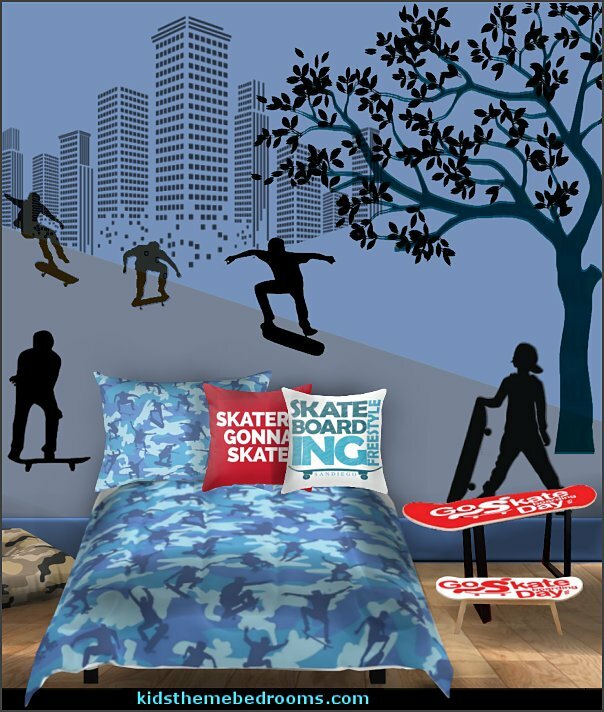 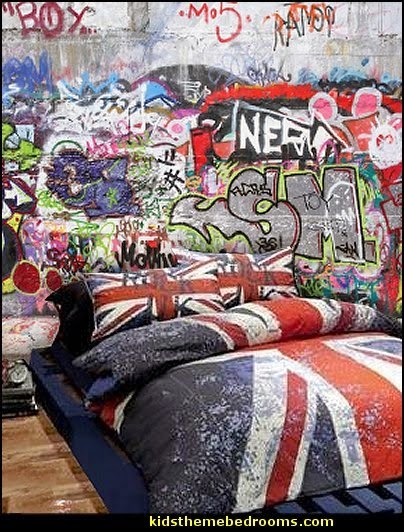 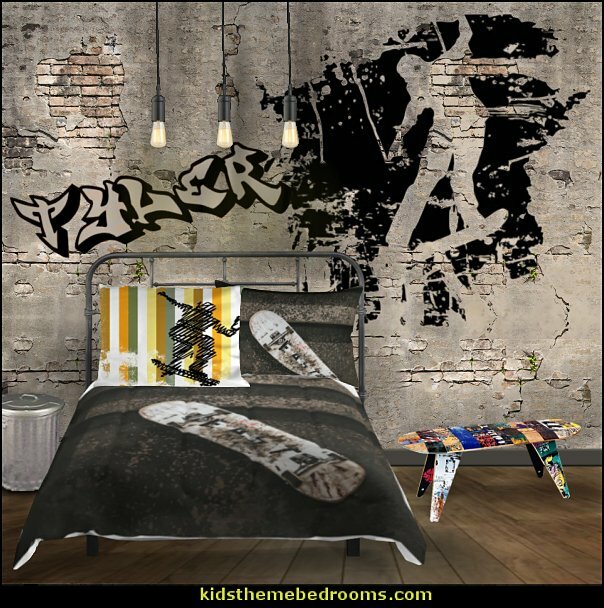 Design your space around colorful graffiti wall murals. 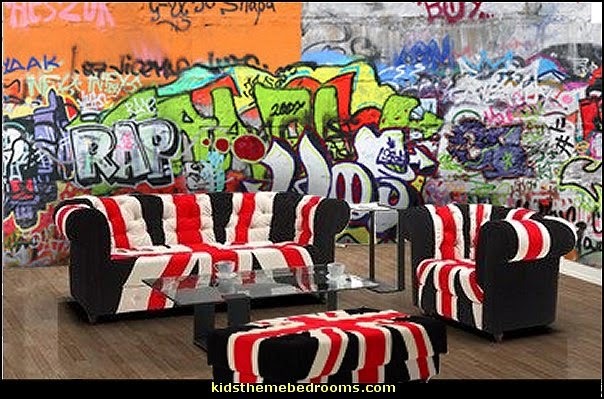 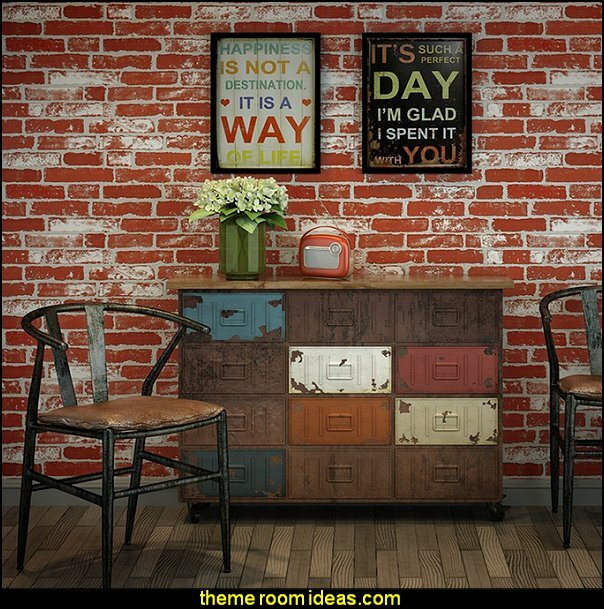 Add an accent brick wall mural and decorate it with graffiti wall decal stickers. 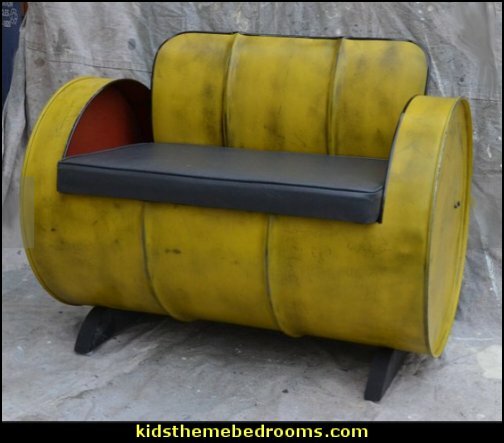 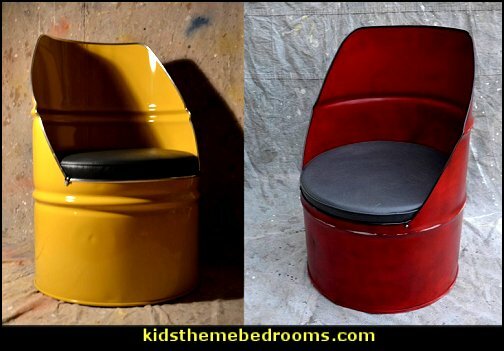 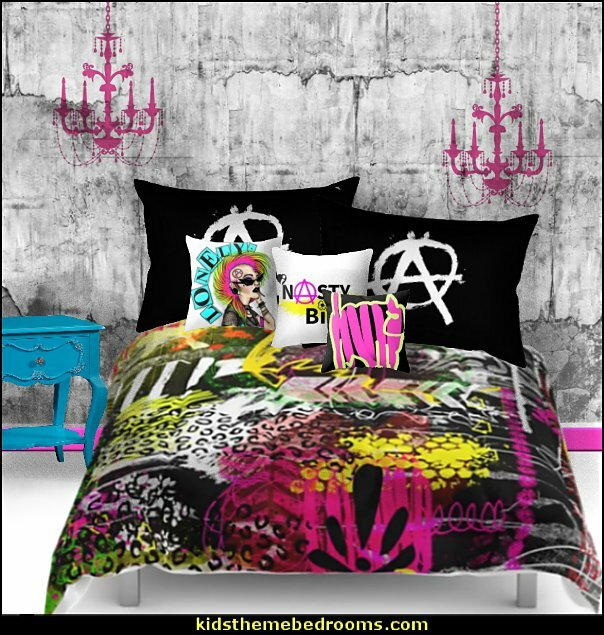 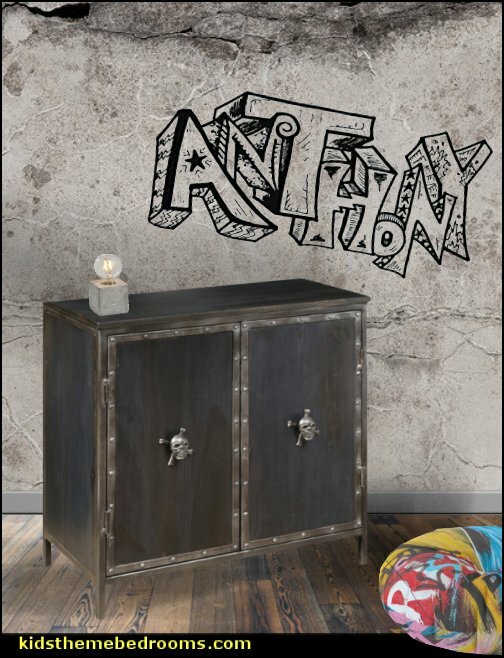 Include a few rustic industrial style furniture pieces mixed with a little decorative punk rock style and a tweaked touch of grunge to achieve your personal style, all that is needed ... is to bring your attitude! 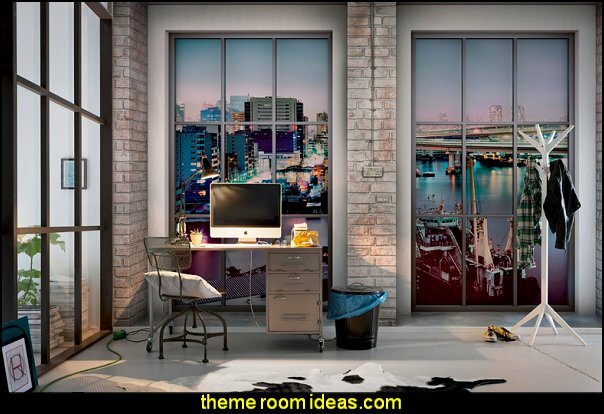 Get both sides of the story with the Two Sides of a City Wallpaper Mural. 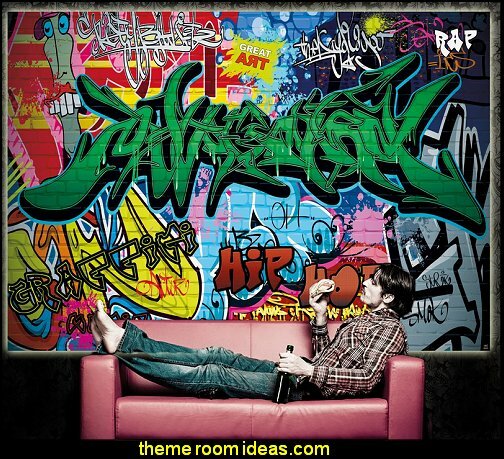 Featuring a fictional city skyline, the wallpaper mural shows the big city as seen from behind a barbed-wire fence with vibrant graffiti on the wall below. 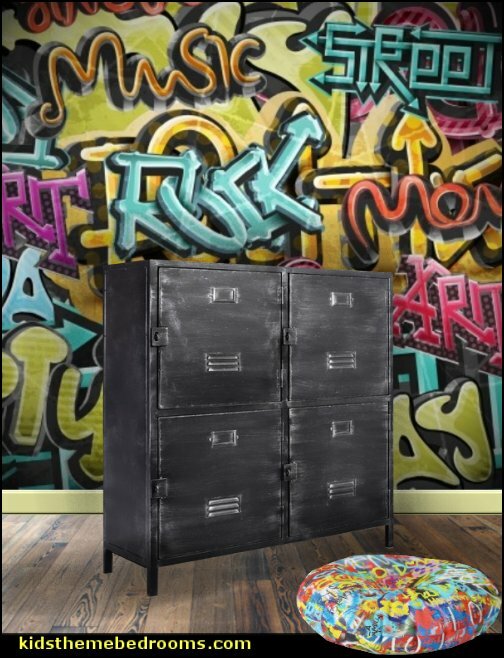 Bends contemporary style and mixed-media detail to help you organize and store all your items. 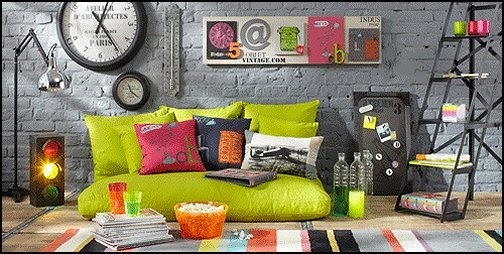 Loft inspired industrial design that uses mixed media materials. 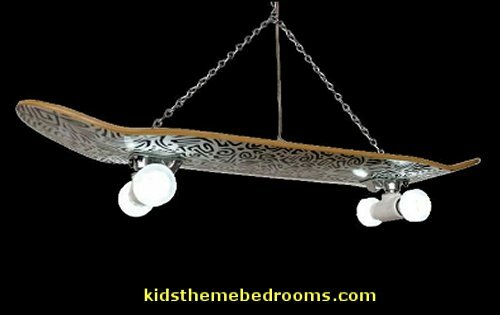 Crafted from Acacia wood veneers, over engineered wood, with a reclaimed wood style; achieved by a wire brush application that is completed in a multi-step driftwood finish. 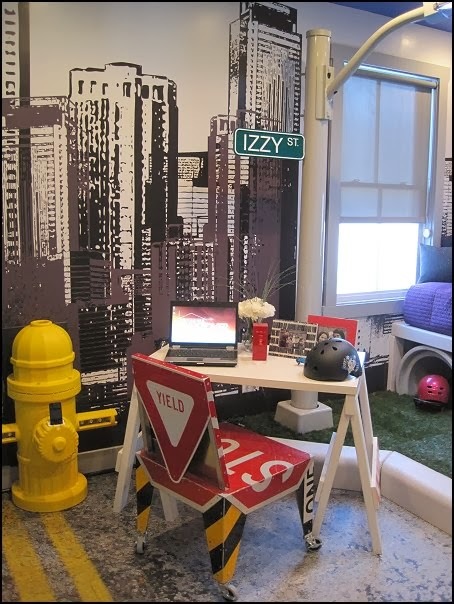 Metal tube frame is finished in a Gray painted powder coated finish. 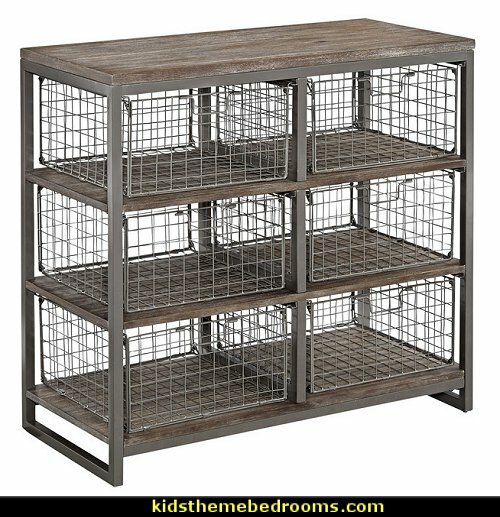 Six slide-out, removable, wire baskets for storage, that are suspended from the top for easy access, and to prevent marring to the wood shelves. 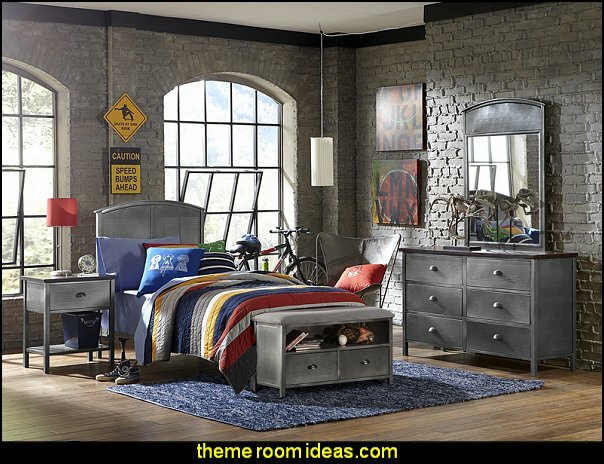 Baskets are accessible from both sides, and completely finished on all 4 sides, so chest can be used in the middle of a room if desired. 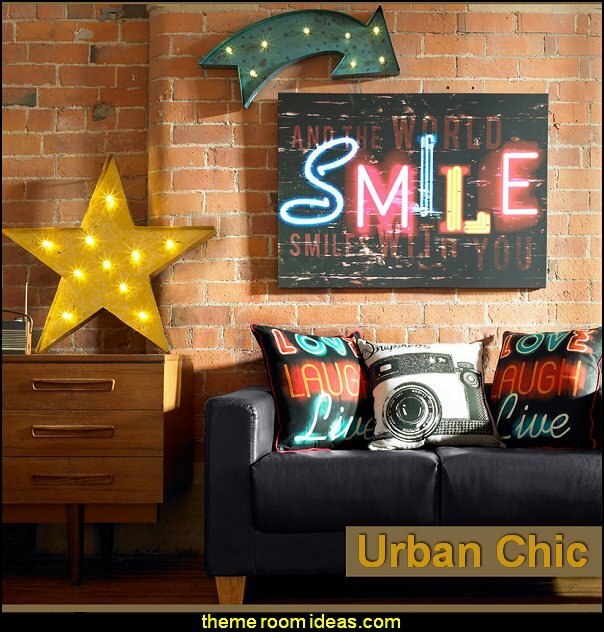 Design your urban themed rooms with weathered brick walls, exposed ceilings, fun furnishings and mix in a touch of Industrial Chic with a little city sleek style to create your own urban design. 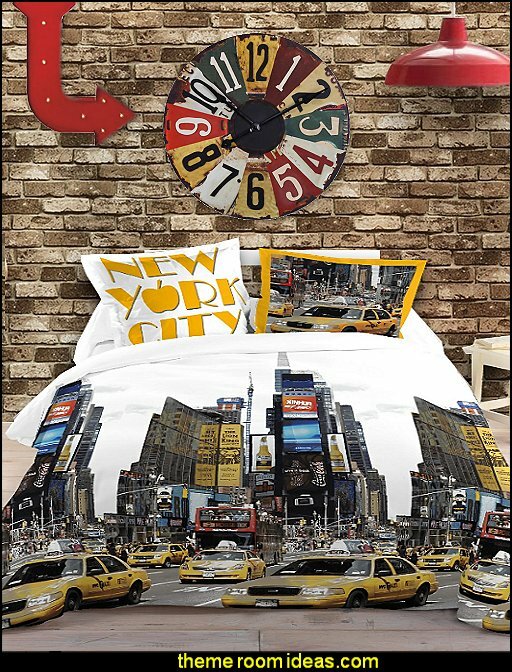 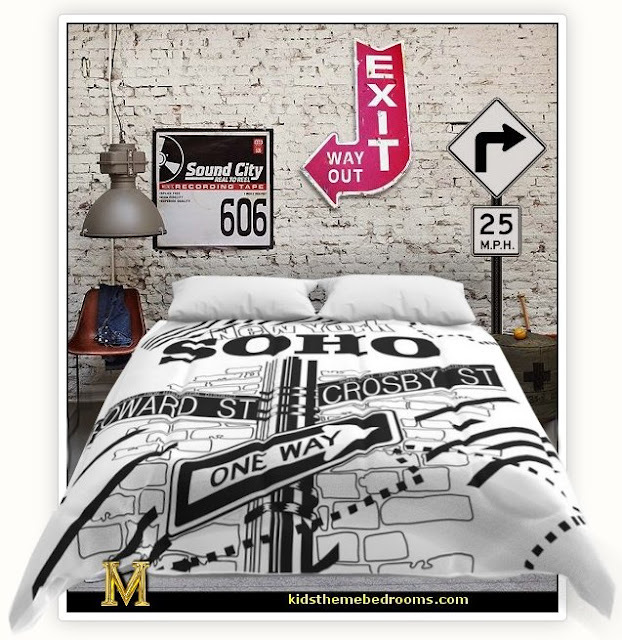 Bring urban city style to your home design project with city bedding and transform your bedroom into a cool contemporary retreat. 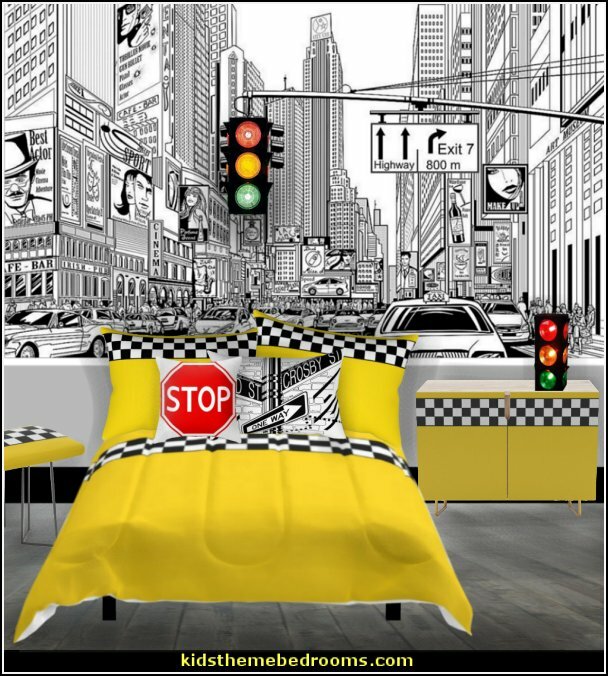 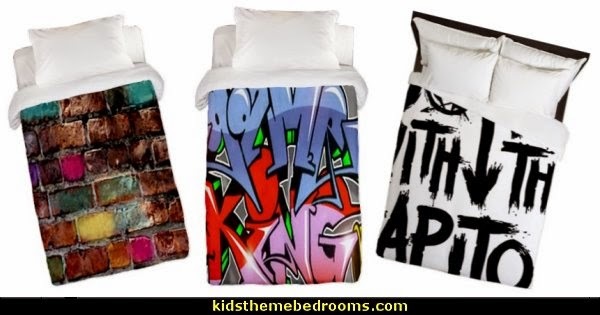 Urban bedding sets feature modern chic style and contemporary color palettes in cool fabrics and prints in an industrial urban design that will turn your bedroom into a sophisticated, modern boudoir reminiscent of a Soho loft or a modern city residence. 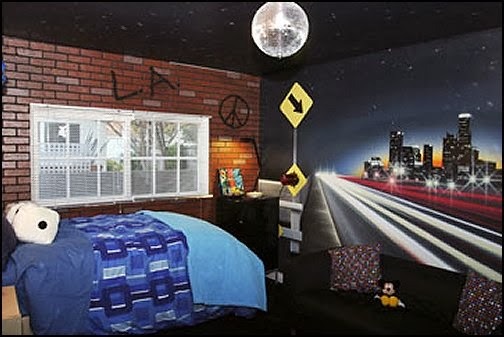 Contemporary metallic construction meets old school simplicity in the unique Urban Quarters panel bedroom. 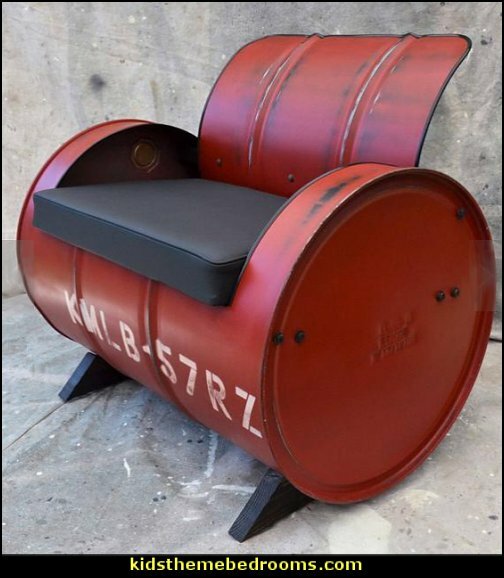 Constructed of metal in a slick, black steel finish. 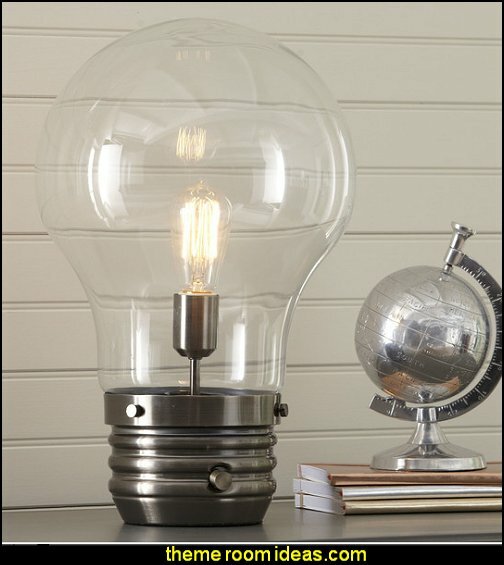 The case-pieces have a black steel metal finish with wood accents in antique cherry. 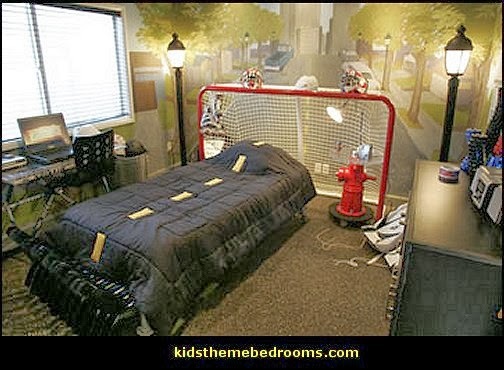 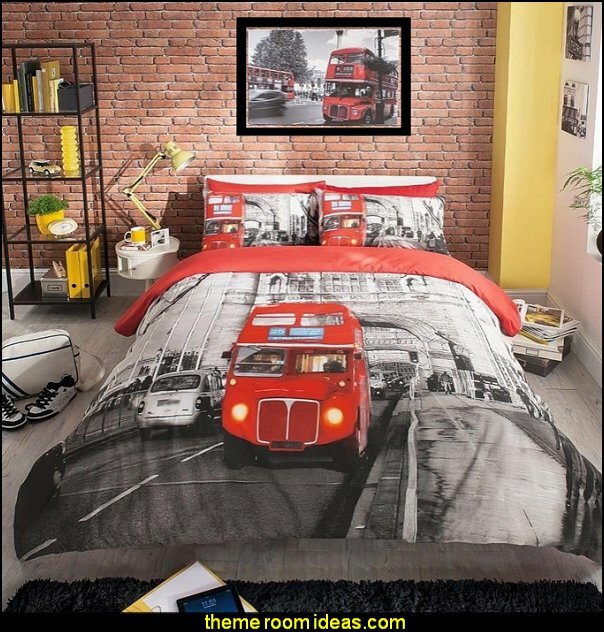 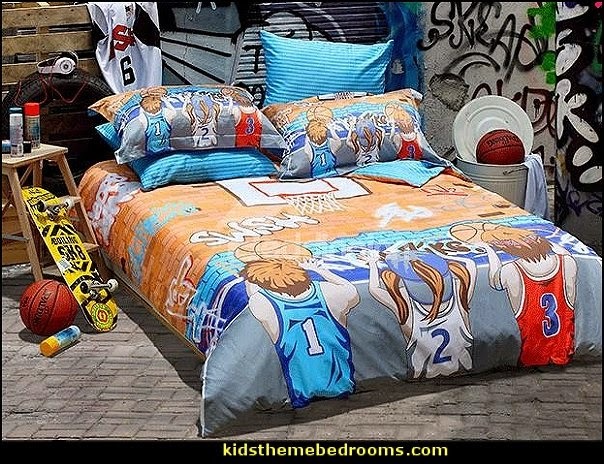 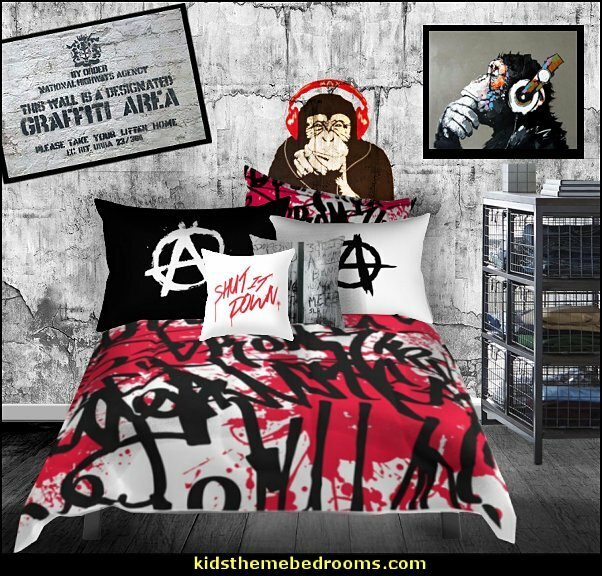 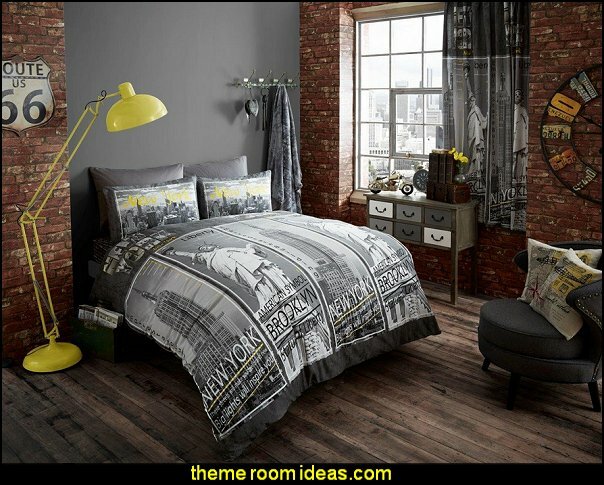 The Urban Quarters bedroom collection is the best of both worlds. 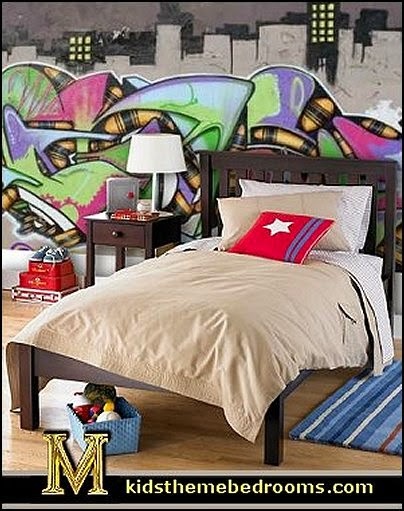 Its punched hole detailing brings a utilitarian flair to this versatile style. 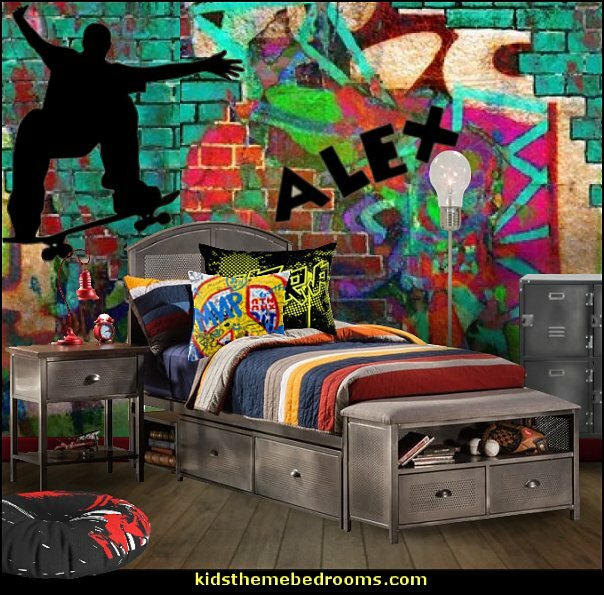 The footboard bench gives additional storage and style to this collection. 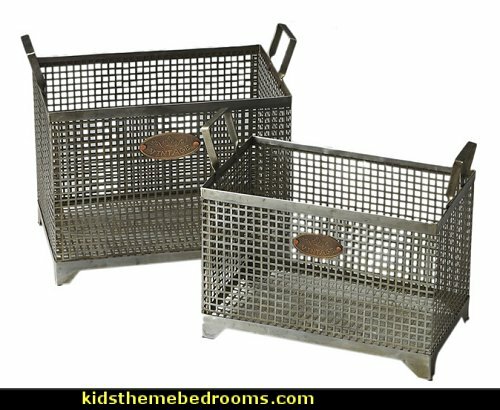 vintage industrial zone (note the riveting bronze tags), these metal storage baskets are as fashionable as they are functional. 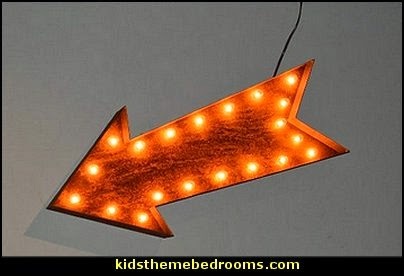 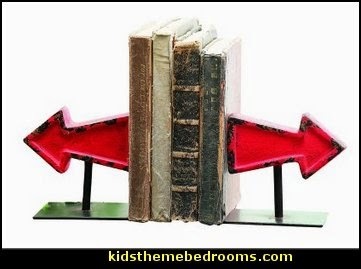 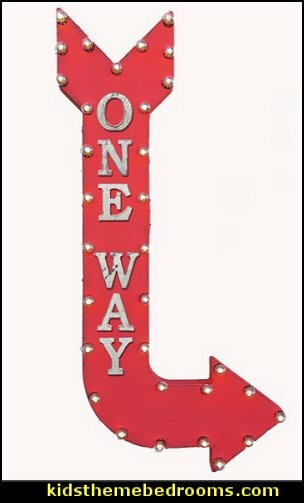 These arrow bookends have a great vintage look. 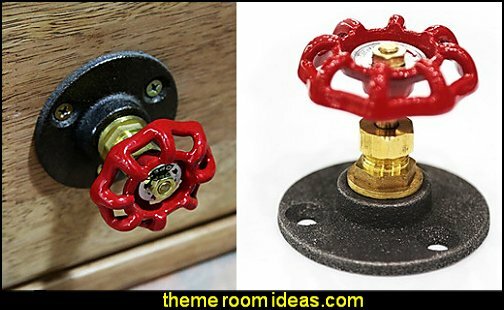 They are made from cast iron and measure 5.5 Inch tall. 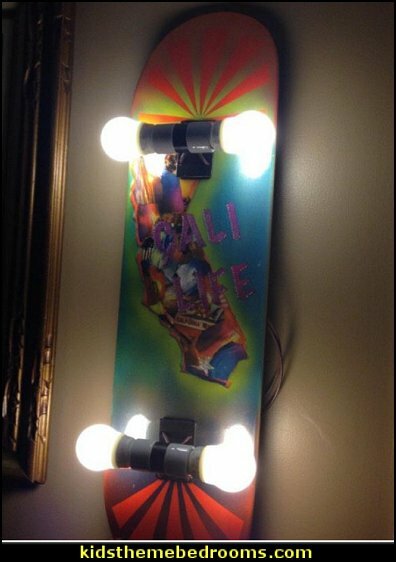 So realistic - you & friends will want to "hang ten"!!! 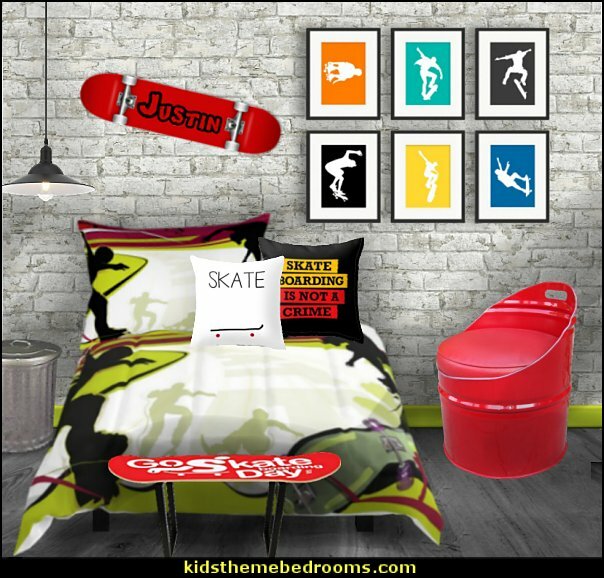 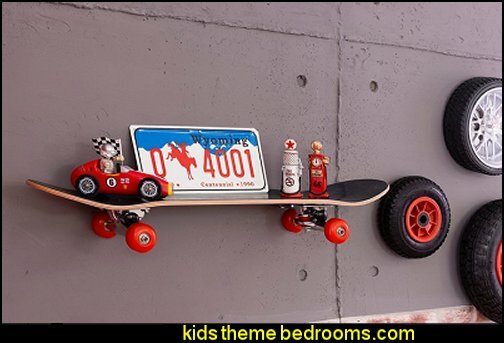 This red-wheeled skateboard style shelf will be the coolest accessory in your room. 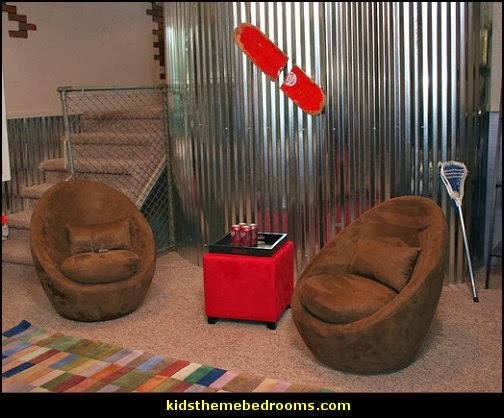 Metal walls also set the urban tone for the room. 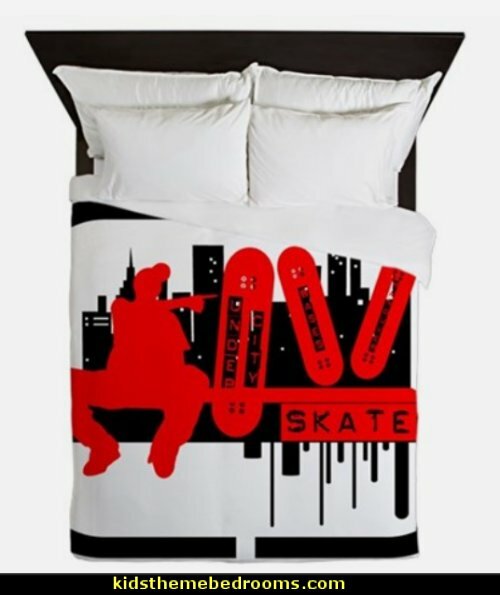 The skateboard culture also reflects an urban style. 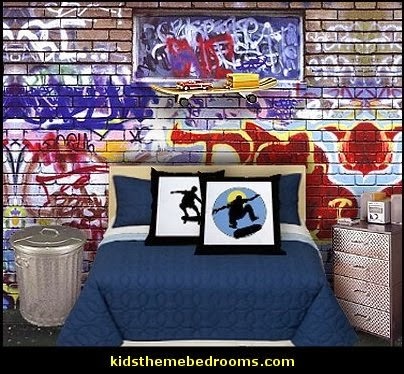 Graffiti is also a popular theme among skateboarders. 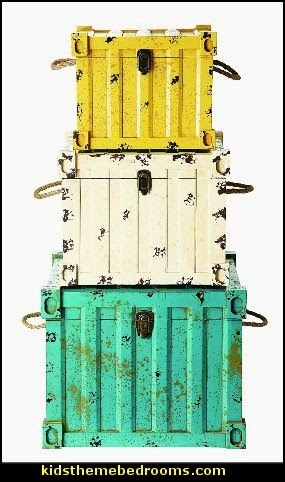 This set of three square trunks are a great way to stash clutter before guest arrive. 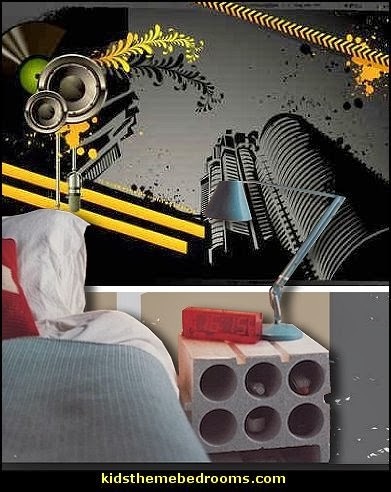 They are made from MDF and rope. 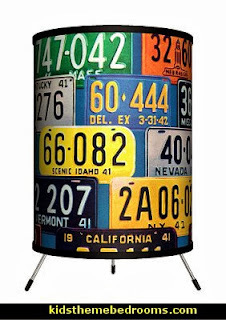 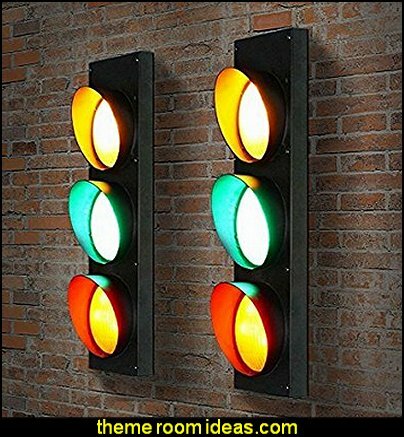 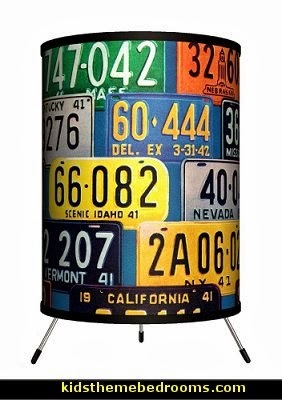 They measure 20.5 Inch square x 17 tall, 17.25 Inch square x 14 tall and 14.25 Inch square x 11.75. 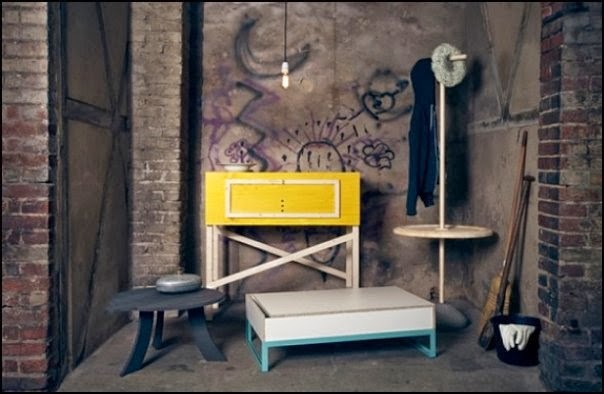 Bring the outdoors in and decorate with cinder blocks, concrete blocks - stacked together make great creative side tables and/or night stands.